Alfred A. Knopf Books for Young Readers, 9780307931740, 208pp. ANNEMARIE O'BRIEN has an MFA in Writing for Children & Young Adults from Vermont College of Fine Arts. She teaches writing courses at UC Berkeley and Stanford. 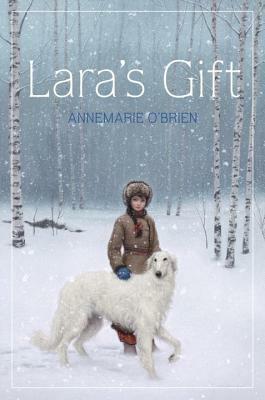 Before that, she worked for many years in Russia, where she got her first borzoi dog. Annemarie lives in Northern California with her two daughters and two borzoi dogs. "Dog lovers especially will pick up this trail right away and eagerly track the appealing heroine’s adventures."